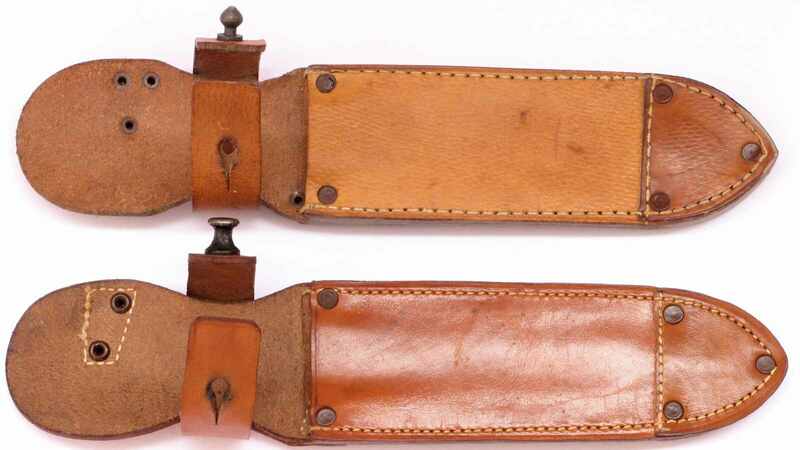 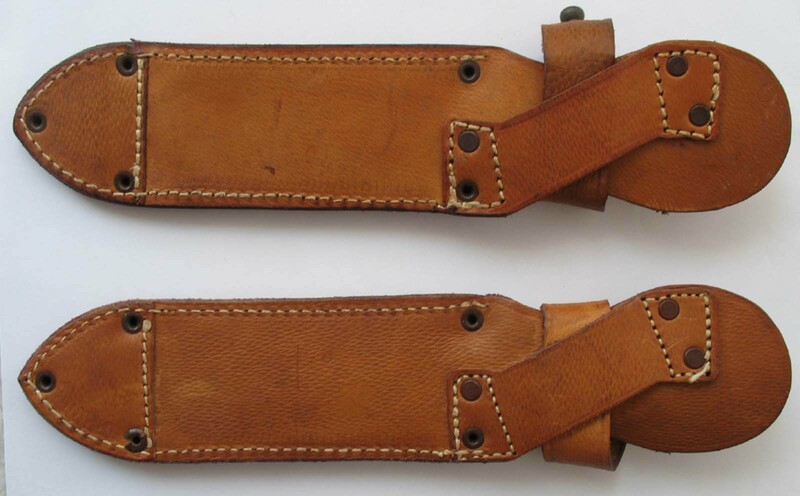 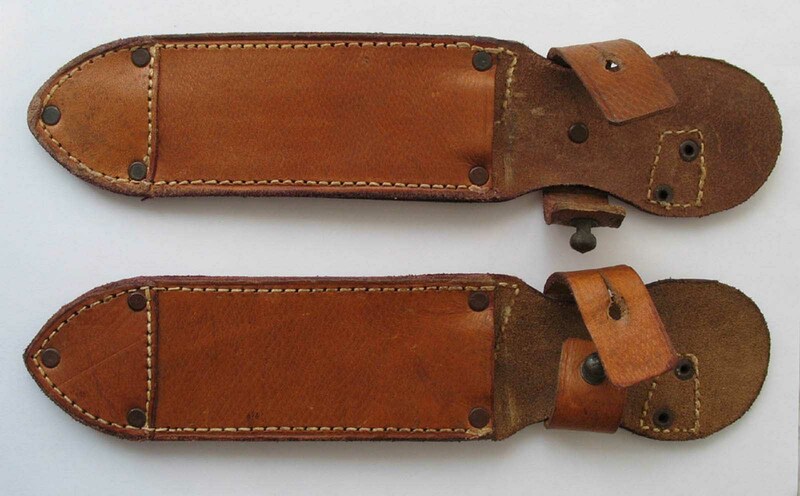 The first types of rivets sheaths are brown and much larger than the newer buttons closing the sheath. 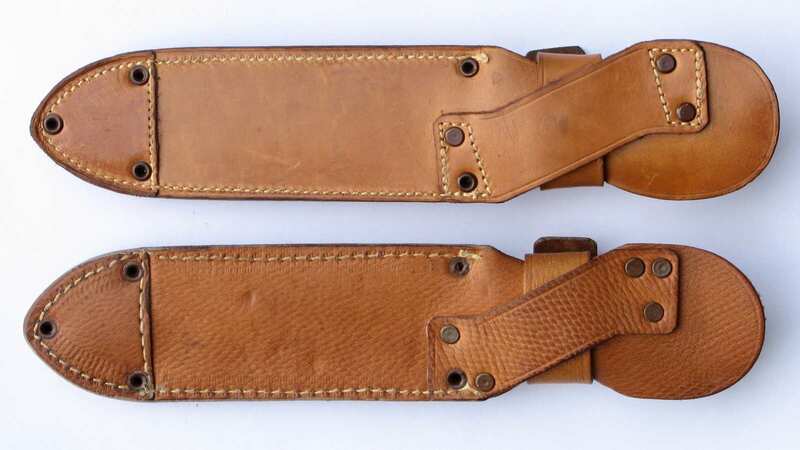 The large buttons are also different from each other by their shape. 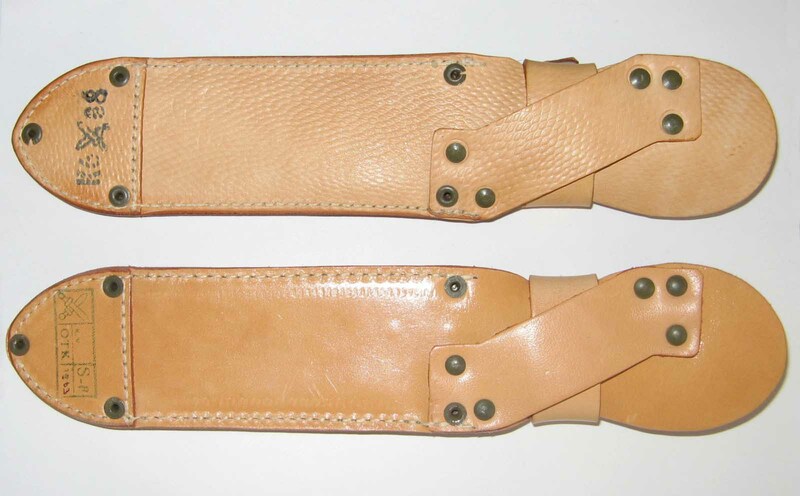 Older scaly leather of the sheaths with two rivets brown. 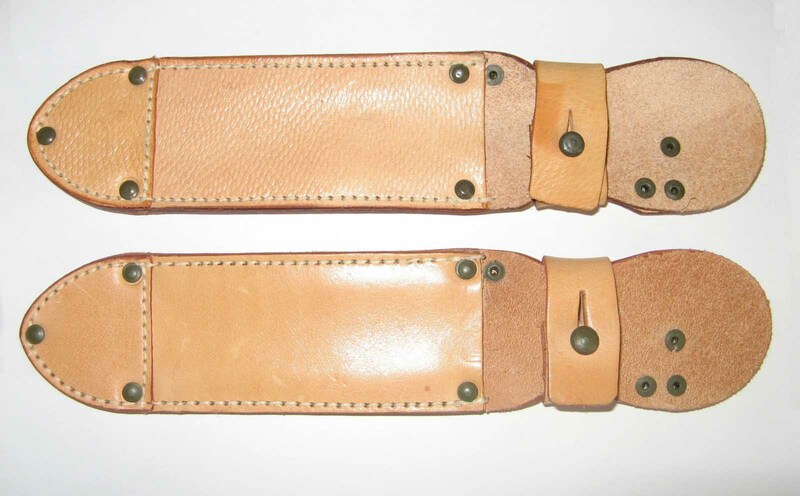 New sheaths of scaly leather smooth and green with rivets and buttons are already making small and nearly the same for both types of sheaths.